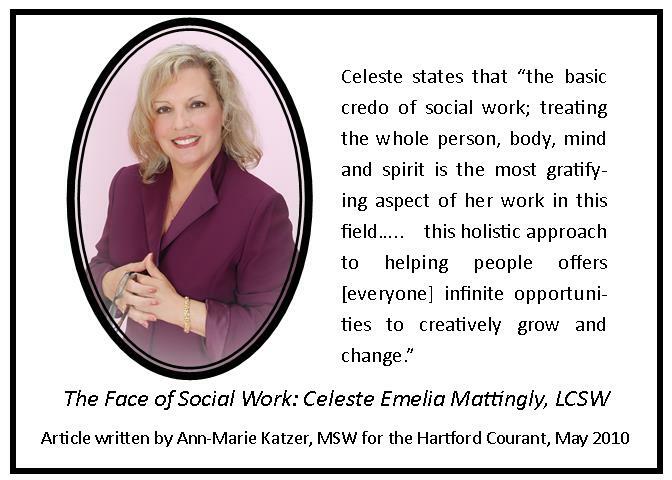 Celeste Emelia Mattingly is a Licensed Clinical Social Worker (LCSW) specializing in Psychotherapy for adults. She is a graduate of the Master of Social Work Program at Springfield College, in Springfield, MA. Celeste has 35+ years experience working in a variety of personal and professional recovery settings. These include the last 20 years in private practice, and over ten years experience providing clinical care in various outpatient hospitals, such as; St. Francis Care Behavioral Health, Hartford Hospital’s Institute of Living, Natchaug Hospital’s RiverEast Treatment Center, Catholic Family Services and Rushford Treatment Center. 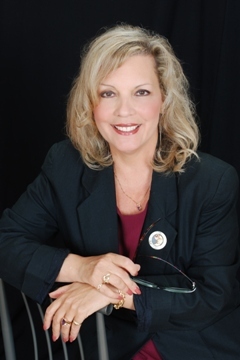 For more information about Psychotherapy Healing Services, LLC, visit Celeste’s website. Also join Celestial Psychology on Facebook and Twitter! Your a Godsend in my life! Your a Godsend in My Life! Thanks for all you do Celeste!